Is this the key that opens your front door? Mortace keys are available at most hardware stores, key cutters or locksmiths and can be purchased with ease of a reference number. What our clients are not aware of is that there is a very small selection of cuts and profiles in this make of key. With up to only 23 – 43 different key types, you can only imagine how many people have the same access as you do to your personal home. Construction companies fit mortace lock and keys as a standard in developments and in new housing. These are fitted on all the internal and external doors, and many home owners do not find the need to change this lock as a necessary expense. 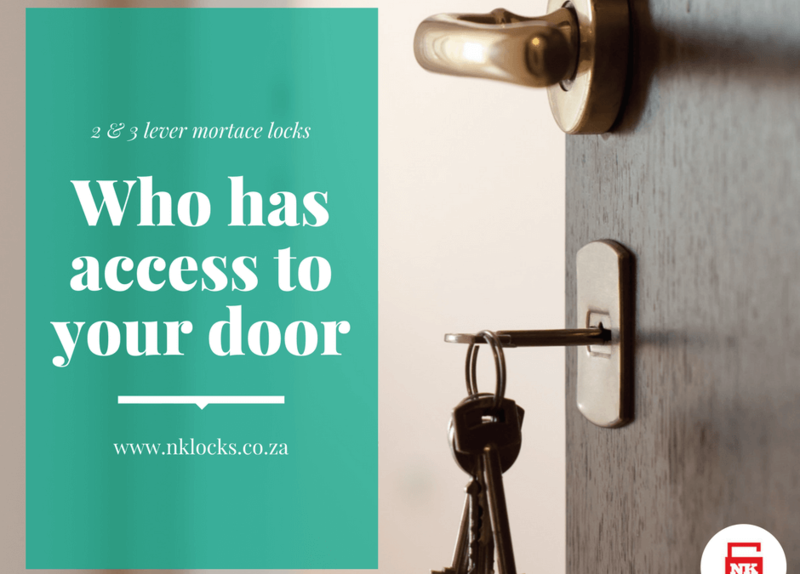 Our advice for your security is to only use mortace keys internally such as your bedrooms and bathrooms. We suggest fitting a cylinder lockset which has over 30 000 different keysets, which will drastically improve the security of your house. For greater peace of mind and security, we can install high security cylinders which are snap, bump and pick resistant. Ensure the safety of your loved ones by implementing this simple security measure in your home. For any advice or quotes, please feel free to contact us.